Facebook is on a roll, isn’t it? In the past month or so, we have been hearing about all sorts of new features from THE social network platform. Some of the more recent ones include the Friendship Pages and Groups. And, just the other day, we heard about their “Gmail Killer.” So one would think that Facebook is here to stay – at least for a very very long time, right? Not according to Dr. Jeffrey Cole, a digital consumer expert. If you’re doubting his prediction, bear in mind that this is the guy who said that MySpace would suffer the same fate (decline) four years ago. While MySpace is still around – I just logged in earlier to listen to some indie music – no one can deny that it is but a shadow of what it used to be. Oh, and check out Dr. Cole’s other credentials: Director of the Centre for the Digital Future at the University of Southern California and a director of the World Internet Project. So Dr. Cole said that in five years, Facebook is going to be what MySpace is today. However, he states one major difference: there will not be a single social networking platform anymore. Instead, we are going to have many smaller communities. His predictions are not limited to social networking platforms. He also mentioned that the iPad will be the last man standing in the realm of tablets – mainly thanks to the Apple brand – and that it will change the face of traditional print. If his track record is anything to go by, we might just see his words becoming reality sooner than we think. 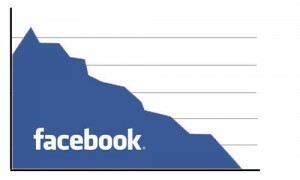 Let me ask you though, do you think Facebook will be “gone” in 5 years? I would hope Facebook would be gone. Social networks may not be gone. Having an informational digital newspaper with only the articles of interest to you and any other related interests would be good. Technology moves ideas quickly. Facebook is one experiment. We are going to have smaller communities. I think this is going to be very true and a big idea. People would definitely like to join the communities of their interest rather than a normal social network. Its precisely target oriented concept.